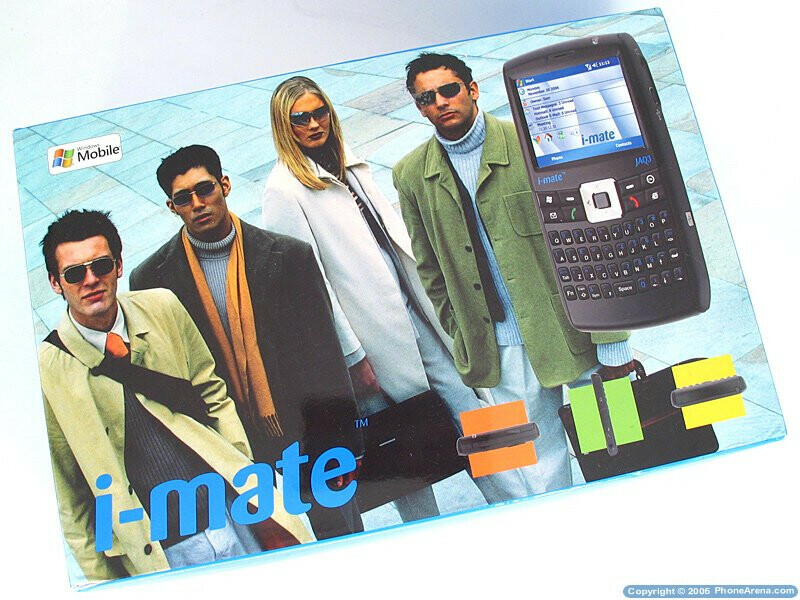 After the leading manufacturer of Windows Mobile phones  HTC  announced that it is planning to start selling models under its own brand name, I-mate whose entire line was comprised of phones manufactured by HTC turned to another manufacturer who will be able to handle with this job. 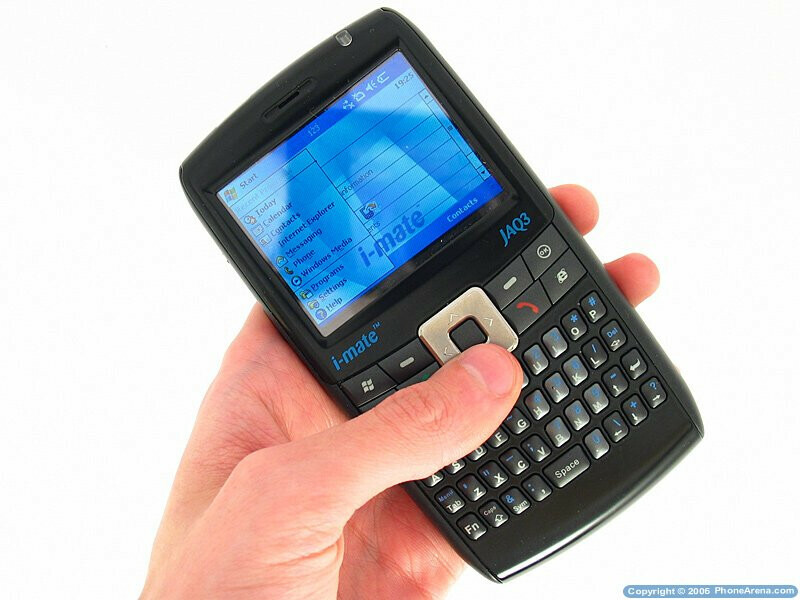 The first unit that appeared was the JAQ, manufactured by Inventec - a Pocket PC phone in candybar design, with landscape display and full QWERTY keyboard; it reminds of the Motorola Q and Samsung Blackjack because of its form, but its main difference (and advantage) is that the JAQ runs Windows Mobile for Pocket PCs instead of for Smartphones. 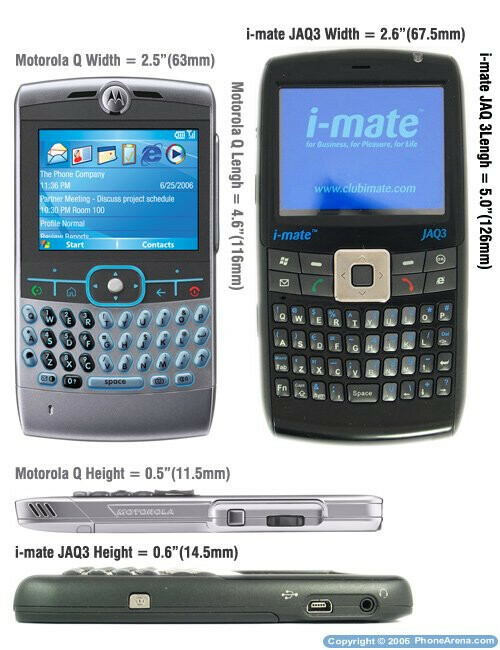 JAQ3 is its successor, having smaller dimensions (especially thickness) and improved design. 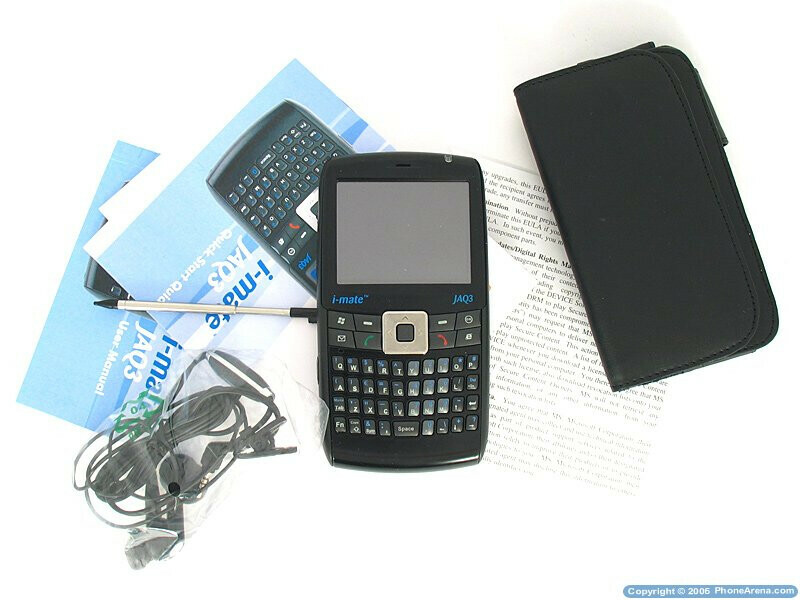 It is a device with high functionality and keyboard that is comfortable for messaging purposes. The phone comes with common well-packed box: in addition to the standard leather case and AC charger, the manufacturer ships you cable for connection with a computer and headphones. The last three can be used with other phones and devices, as for the charging/computer-connection is used a standard miniUSB port, while for music  there is another standard 2.5mm stereo jack. What you will first notice is the enormous size of the JAQ3. 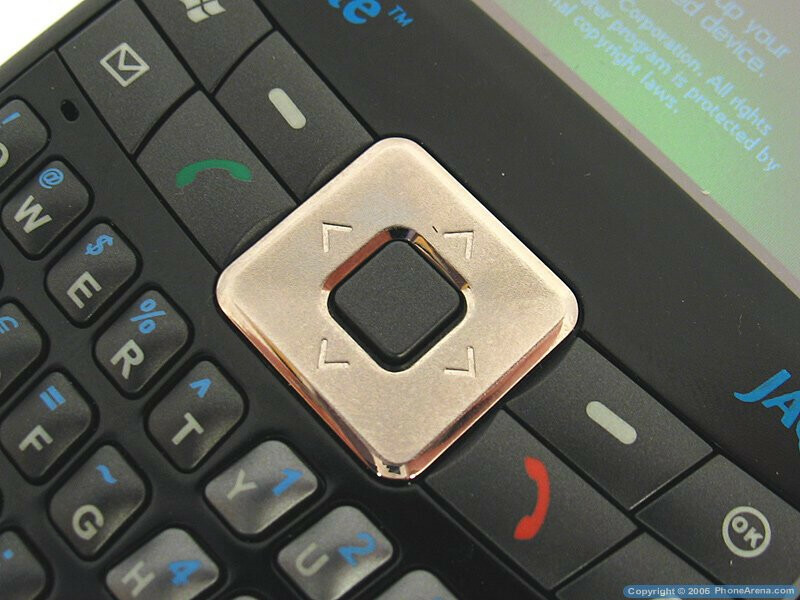 On its front side it has relatively large 2.55 display and full-sized QWERTY hardware keyboard. Such display is nothing extraordinary for a PPC, except that it is in landscape orientation (built-in software allows you to use it in Portrait view). It's easy to use the keyboard although the small size of the keys  they are raised and the separated ones can be easily felt and it rarely happens to press two keys at the same time. Pressing a key gives very good tactile feedback, but is not very easy. We are happy to find a few shortcuts and large D-pad here as well. 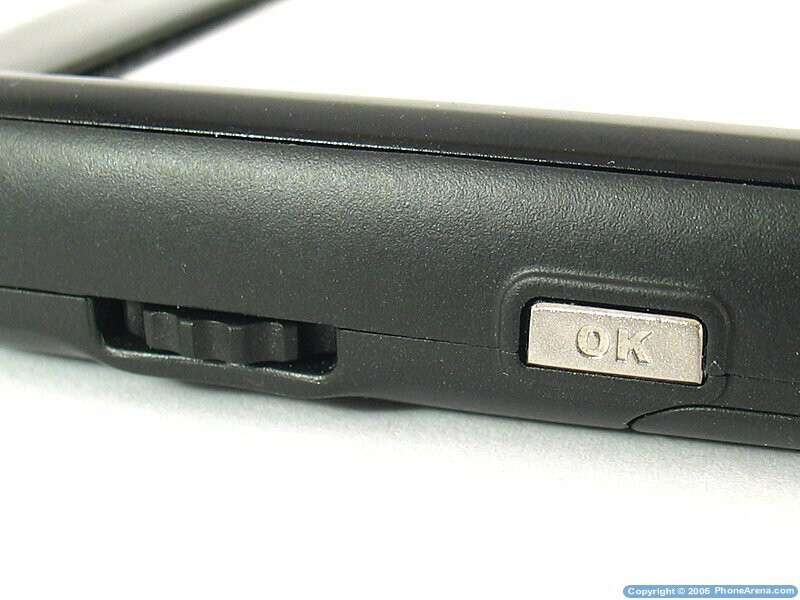 On the left side the manufacturer hasn't missed the chance to put something that can be of use  here you will find a JOG Dial and OK key, which will help you a lot if you are using the phone with one hand only. 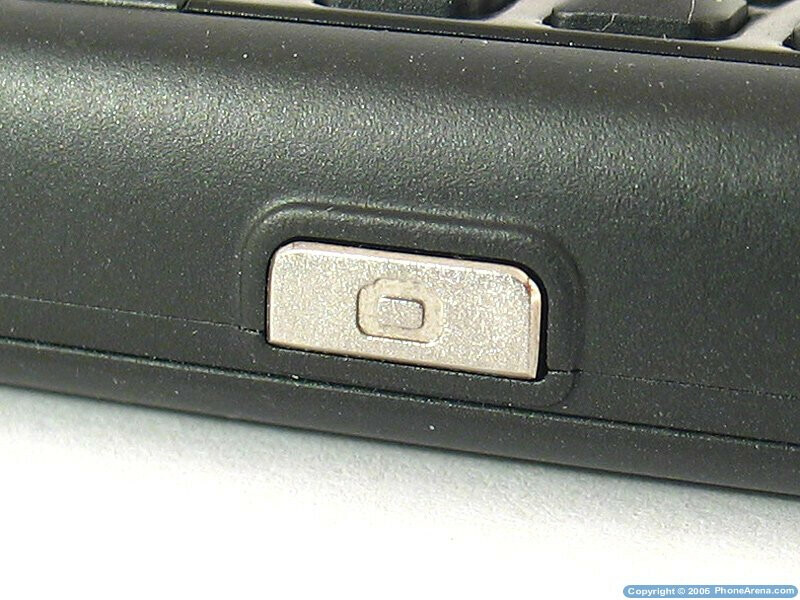 Below them is the camera shortcut (and shutter key). 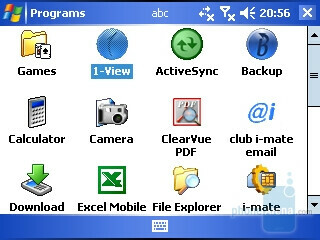 As software, the device is similar to all other PocketPC phones running on Windows Mobile 5.0 Operating System. 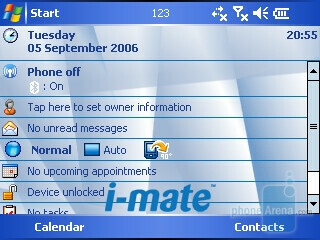 The home screen is slightly personalized and the phone comes with a few additional application preloaded. Unfortunately the personalization of the Communication Manager is not very well done, and we think that this software is worse than the standard one. Unfortunately our JAQ3 was defective and had problems with its stability, so we can not do an in-depth review before we get a replacement. 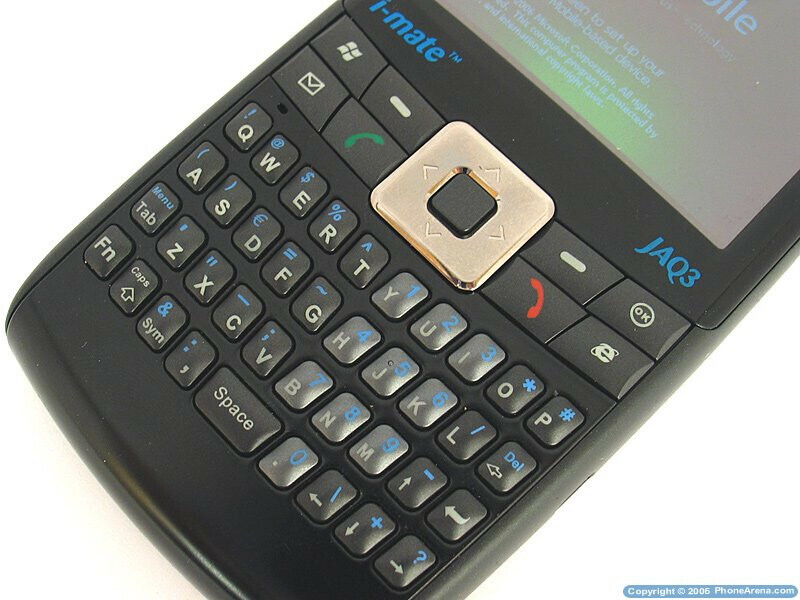 The first impression the JAQ3 makes is that it would be a good device for people who need full QWERTY keyboard all the time and don't mind the large size of their pocket computer. What a coincedence!!! My 1st JAQ3 was defective as well... so was the 2nd one that gave me! My strong advice is "Don't buy this phone!" I have had tremendous problems with it. The phone constantly get "stuck" and cannot make or receive calls. THe worst part is, you cannot know that it's stuck unless you try to make a call. After hours of trying to fix it and talking to everybody a their brother about the phone, I can make one assertion about the JAQ3... it is underpowered and is therefore very unstable. Save yourself the trouble and look elsewhere. 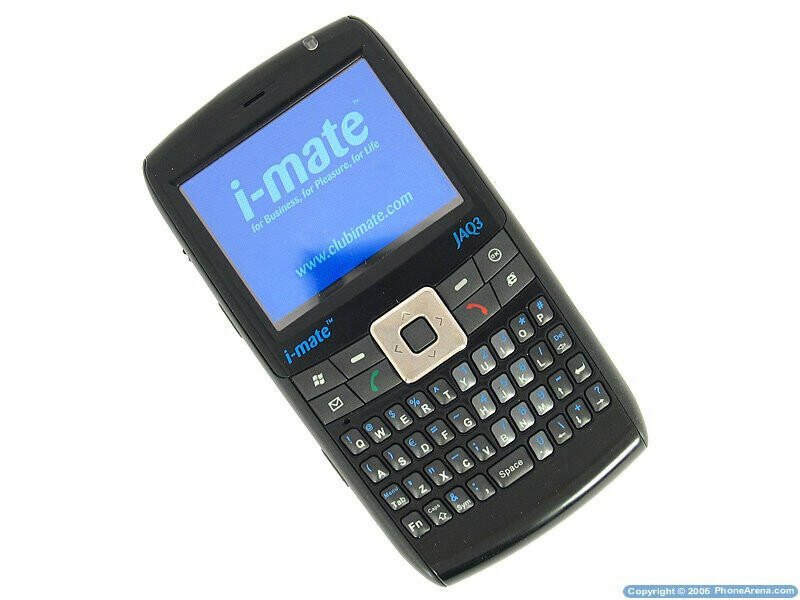 I-Mate's customer spport WILL NOT SUPPORT YOU IF YOU BUY THIS PHONE AND ARE NOT HAPPY WITH IT! I must quote all your posts!!! This phone suffer a lot of problems and, using it, you MUST make an hard reset every 5 month, because in this time you will see a slow but costant slowing and bugs overflowing! Support can only say:"Just make an hard reset"... and what about video libraries? 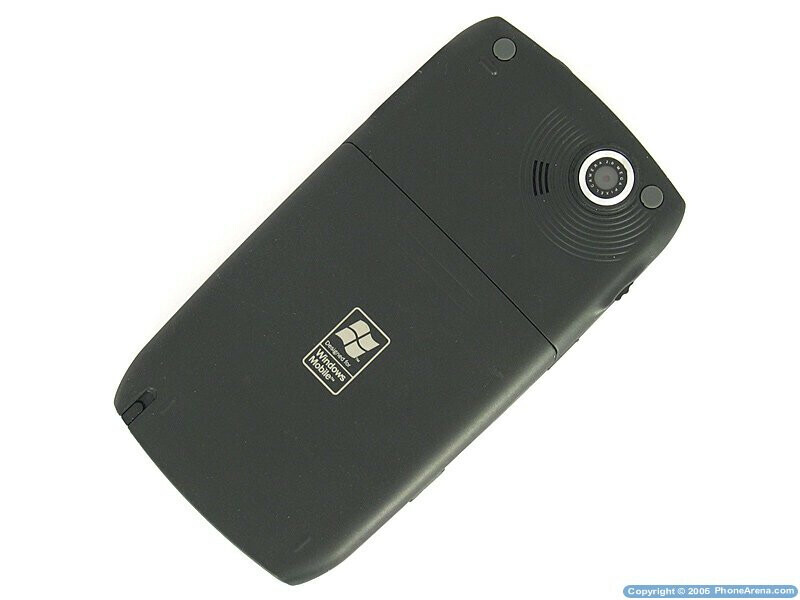 GAPI is the only working, but suffers a lot of lags and ridicolous bitrate elaboration capabilities (even windows media player can't supporte more than a 100kbps video decoding in this phone, very bad!!). Don't buy this phone. 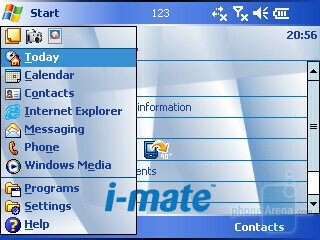 If you have one I've opened a thread in the official IMATE forum, underJaq3 section, join there please and post!!! oh my God ! I have changed my mind after reading all this.... it looks as if all u ppl had read gud tym with this phone !